Although Mickey Joe is well known as an International co-driver, he has occasionally competed as a driver. 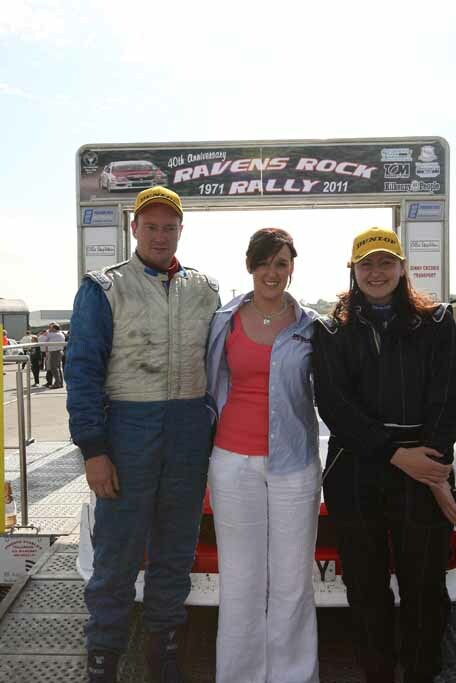 He will again this year, drive a 00 car in the Ravens Rock Rally. He is a former COC for the Ravens Rock, and a 3 times winner also. With his wealth of knowledge and experience, he is a truly remarkable asset to the motorsport community. Mickey Joe is the type of unassuming man that you immediately want to know more about. 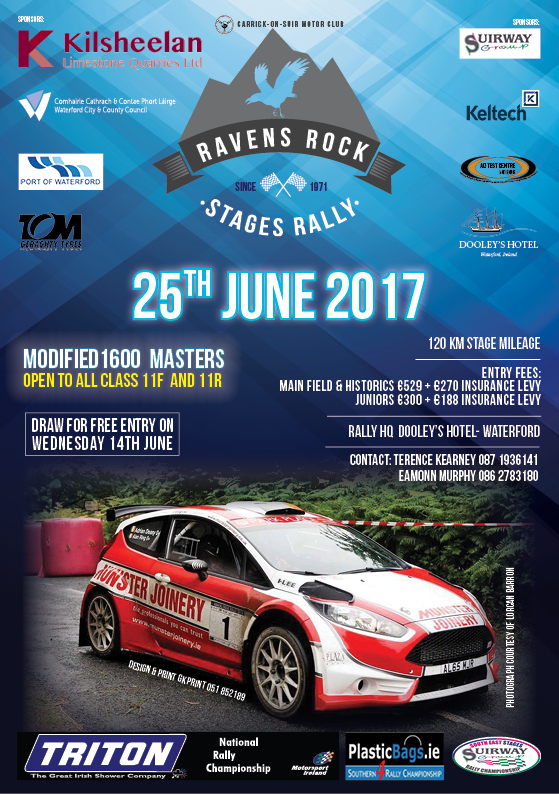 He first joined Carrick on Suir Motor Club in 1971 to compete in the Ravens Rock Rally when it was run over six stages in a forest at night. 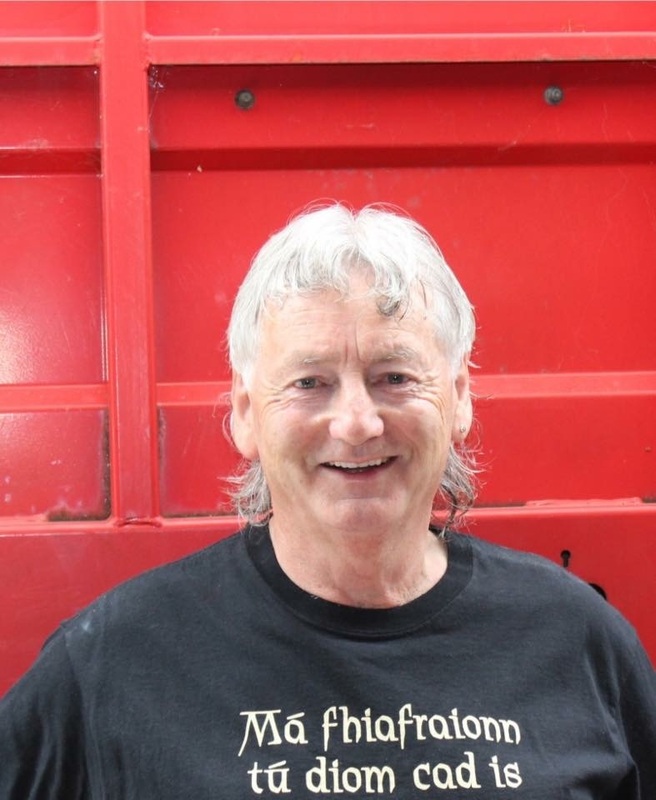 He began co-driving on and off from 1972, and currently navigates for Eamonn Boland on the world stage. To his credit, he has competed not only in Europe but in Mexico, Canada and as far flung as the Middle-East, actually clocking up almost 80 rallies there, with great success. There are only four rallies in the WRC calendar that Mickey-Joe hasn't done, and those are: Argentina, New Zealand, Australia and Poland. Mickey Joe's first WRC event was 1000 Lakes. He also has 9 finishes in the Monte Carlo Rally. We think it's fair to say that in terms of WRC starts, he rivals another club member, Craig Breen. A little known fact about Mickey-Joe, is that he was the man responsible for introducing the number system for pace notes in Ireland in the 1980's. 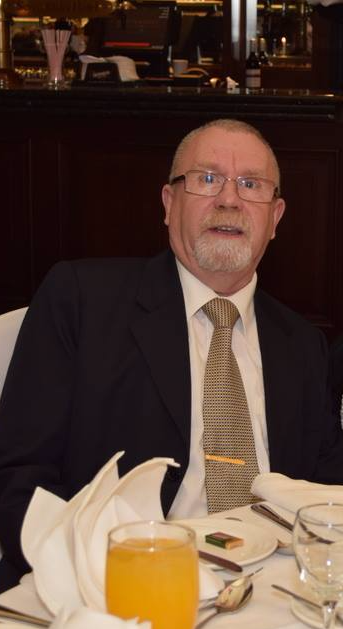 Terence is one of the Carrick on Suir Motor Clubs longest standing members, with decades of knowledge and a vast wealth of experience in both the forest and on tarmac. Terence has been the COC of our Wm. 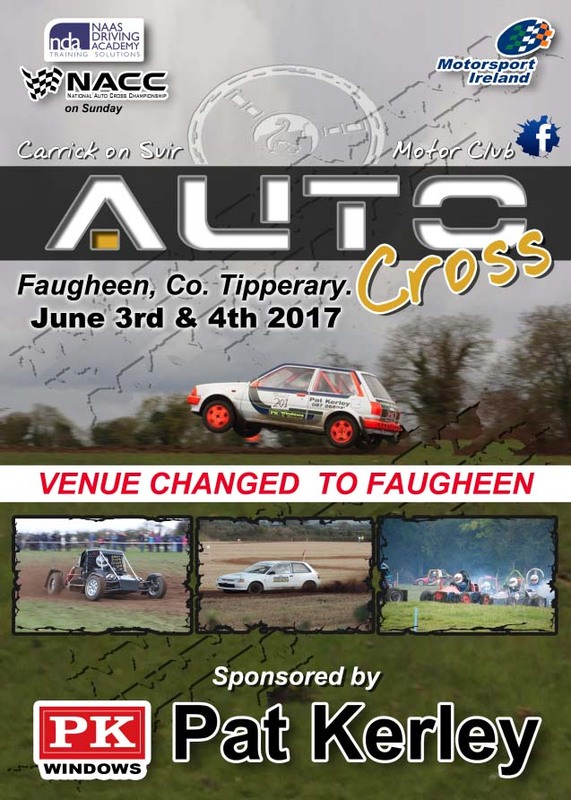 Loughman Forestry Rally and moved into tarmac. 2017 is the second year in which Terence has acted as COC. 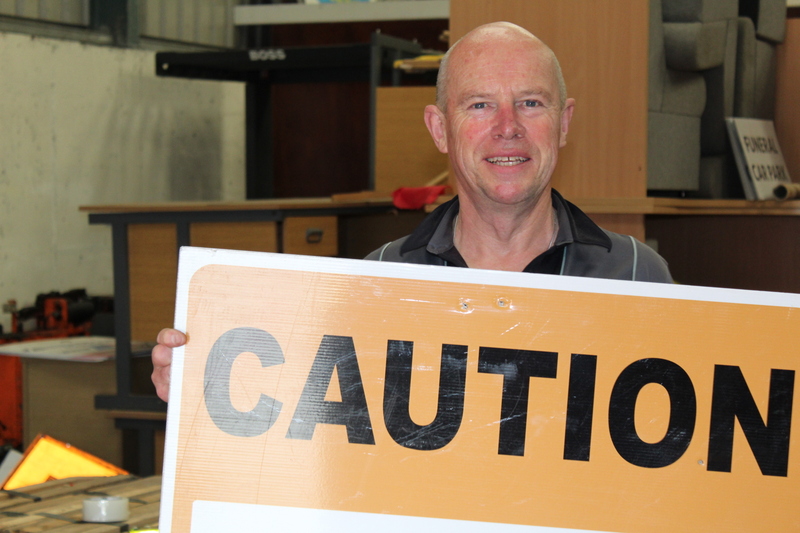 Despite acting as COC for the Ravens Rock Rally, he has played major roles in all of our other events whether it be marshalling or simply offering valuable advice. If you want to know something about a time in Carrick-on-Suir Motor Club, your best bet is Joe. Long before he was the main Equipment man for the Club, Joe acted as our long-standing PRO for decades. Joe got involved in motorsport in the early 1960's. The first rally he ever saw was The Touring Stages of the Circuit of Ireland in the same decade. One of his first experiences in a rally car was with his mother doing a daytime navigator exercise in a Fiat 600. The wrong approach at a turn in Ahenny cost him the top prize. The only event Joe ever drove in, he rolled the car in Bigwood Quarry. "Ah good God Tom, I'm still apologising". No job is too small, no task too large for Joe. If it's needed, he'll be there. If you see Joe, make sure to say "hello". Courtbrack Vintage Society are calling all vintage Ford vehicles back to the original Ford plant in Cork on Saturday the 17th of June. Pre-booking is essential. Cost is €20 per vehicle. The new location will be sign posted from Carrick on Suir and surrounding areas. 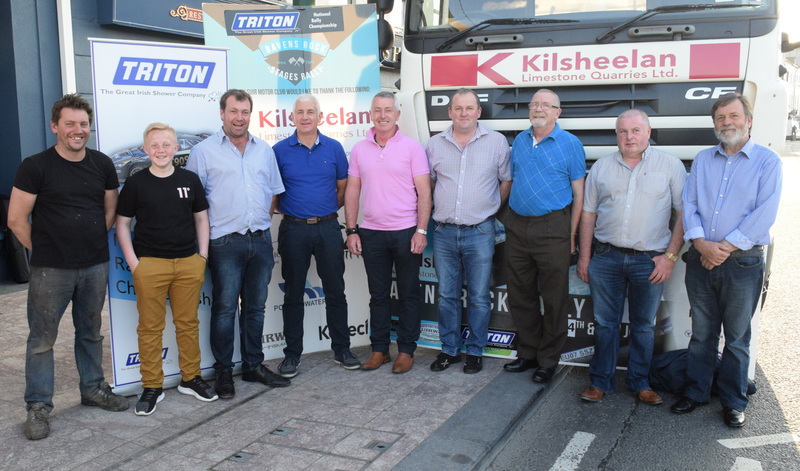 A big thanks to all of our club members, sponsors and competitors who turned out for the photo shoot of the Ravens Rock Rally 2017. 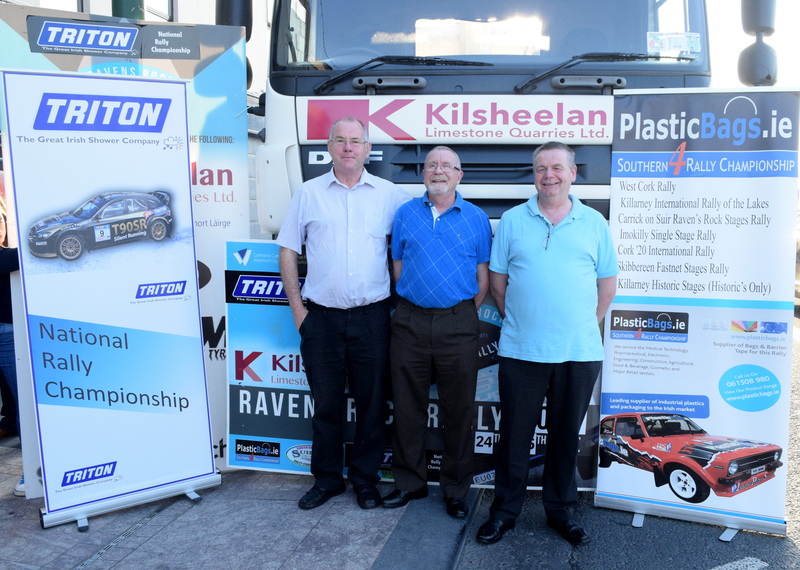 This years Ravens Rock is a counting round of the Suirway Group South East Stages, Plasticbags.ie Southern Four Rally Championship and Triton Showers National Rally Championship. 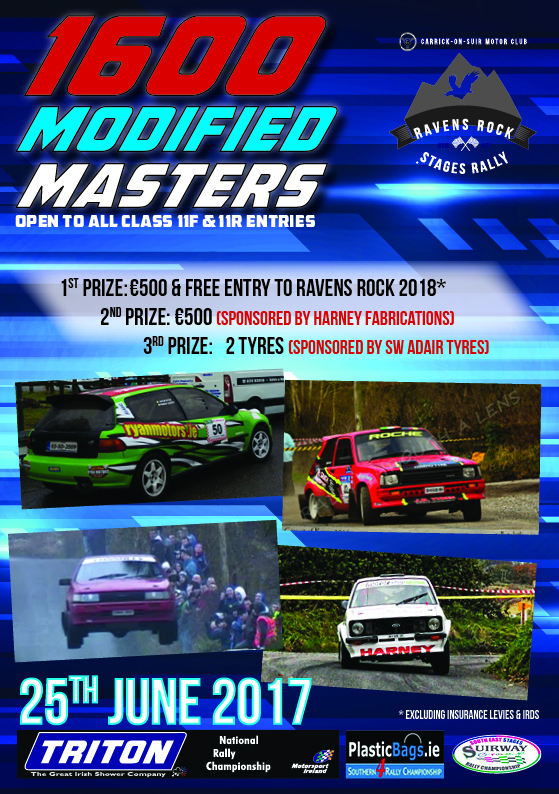 This year however, sees the launch of the 1600 Modified Masters. This title is up for grabs by those entered in either class 11F or 11R and will see some of the best in our sport battle it out to be crowned the first ever 1600 Modified Master. mobile number is 087-2904612 & the landline is 051-302615. 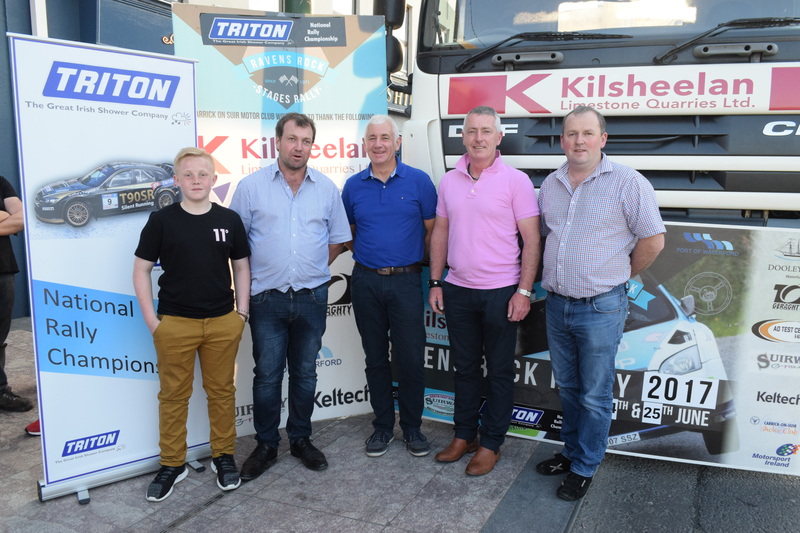 The event is located in Garnarea Co Kilkenny about 5 minute drive from Carrick On Suir on the main N24 from Carrick On Suir to Waterford, There will be arrow's in place from all directions near the event. Please note as there is a barrier along the center of the road which the event is located on and if you are travelling from Carrick On Suir side we would ask everyone to follow the arrows as we would not recommend that there be any crossing the road at the junction at Piltown tower as this is a very cautious junction, All traffic that needs to cross the road we be directed to the Fiddown fly over bridge to cross over safely.